"My two requirements," Abrams said Tuesday at Vanderbilt University in Nashville. "One, you have to tell me what you're going to do about voter suppression. And two, you have to believe Georgia is a swing state." 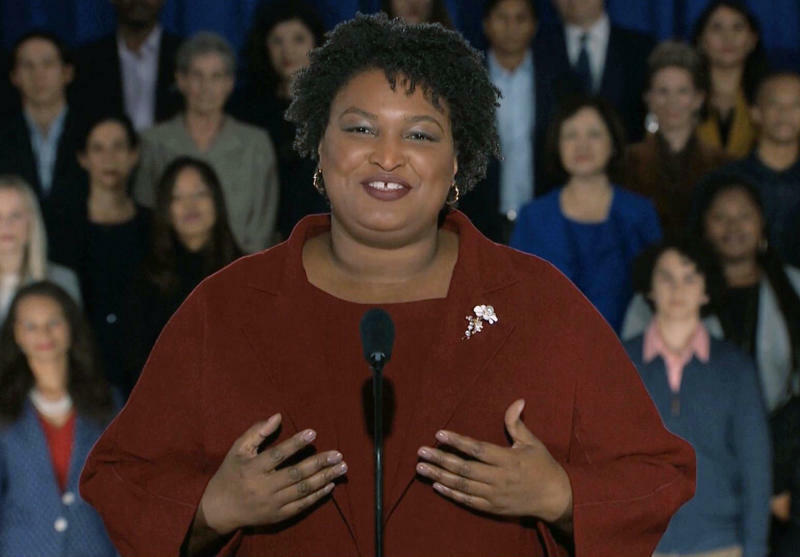 On Tuesday, however, Abrams didn't reveal much about her next political move and didn't specifically mention any of the current candidates. She only briefly talked about President Donald Trump, saying she doesn't hope he fails as president but does hope he'll fail in his re-election campaign. Instead, she said she's open to being flexible to all options but her current focus is addressing voter suppression, which she argues significantly hindered her 2018 gubernatorial bid. Abrams didn't end her bid to be the first black female state governor in U.S. history until 10 days after the election after coming about 60,000 votes short. Shortly thereafter, a political organization backed by Abrams filed a federal lawsuit challenging the way Georgia's elections are run, alleging state election officials "grossly mismanaged" the November election in a way that particularly deprived low-income people and people of color of their right to vote. The suit is currently making its way through the courts.